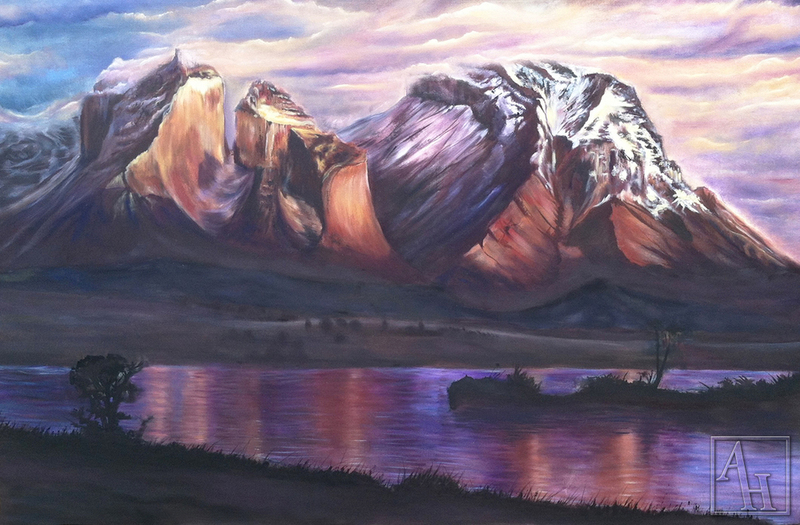 *SOLD* This focuses on the dynamic colors that are so predominant in the colorado landscape. The oranges and browns in the landscape serve as a nice contrast to the blues and purples seen in a sunset. The emotions associated with this pieces are tranquility and contentedness. 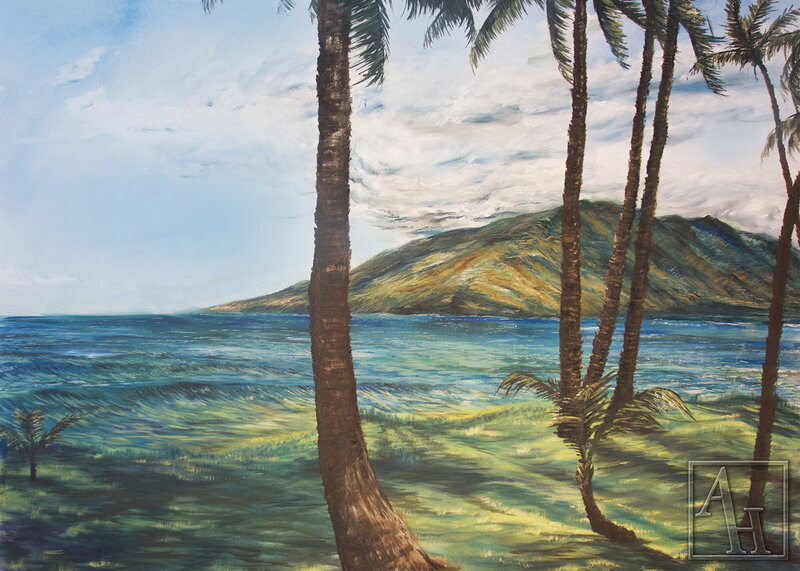 Buy "Rocky Mountain National Park"
*SOLD* This piece was a gift to my parents and it focuses on warm tropical environment of a Maui beach. In order to capture the variety of textures in this area I used a more impressionistic technique and I feel it gives the piece more movement. *SOLD* This piece was created in response to a family trip to Cannon Beach, Oregon. The seemingly endless beach made me think of it as a beautiful afterlife environment where people wandered with family and friends to enjoy the nature around them.